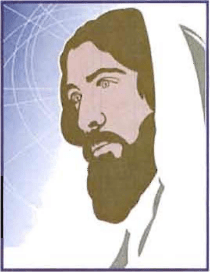 Jesus — The Visible Link to The Father and The Holy Spirit! | Jump for Joy! Jesus — The Visible Link to The Father and The Holy Spirit! Is the memory of someone the same as having them with you always? No, while memories are wonderful, they are not the same as really being together at the level we once were. When we think of Jesus, unfortunately many of us think of Him like a memory. We remember Him as a wonderful Man Who lived long ago. We believe we should remember Him, like we would remember anyone in History who was great. He said some great stuff and we like to quote Him. We may even try to incorporate His Way of Thinking into our life. We’ve been told He will be back on earth one day and a lot of people are looking forward to that. We hear He exited through the clouds and He’ll come back that way. It is said He is at the Right Hand of God. We may think this means They are both far off in this place called Heaven. We piece all this together to come to the conclusion that Jesus and God are far away. We speak of sending prayers “up.” We understand that there is a Powerful Holy Spirit, Who is here and does interesting things. Many of us linger between a longing for Him and a little anxiety over what He might have us do. So today, let’s have a look at where everyone is and what any of this might have to do with us. Sometimes, even if we believe in the Trinity, we see God, Jesus and The Holy Spirit sort of like an equilateral triangle. They each have their part of the whole, they touch, and no matter which way you turn them, they kind of look alike. But that is not the way Jesus described Their Relationship. He described it as being so thoroughly mixed together that They, in fact, are One. The Relationship into which Jesus invites us with Them is so mixed together that we will no longer be separate in any way. And The News Just Keeps Getting Better and Better! God wants us right in the midst of them, as a part of the Wonderful One! Lesson One about the One is that No One leaves the other. The One with Whom you are One has never left you and never will! Jesus wants us to always be with Him. That is what He said in His Prayer as recorded in John 17:22-25.
before the Creation of the world! And surely I AM with you always! So how does being One work? It doesn’t, unless it is exactly as Jesus taught over and over again. He, The Father, and The Holy Spirit are One … and His Design is for us to be in the midst of them. When we try to split up the One, even the Easter story becomes confusing. We find ourselves wondering how God could put His Son in such a position, as we find Jesus in what appeared to be His last days on earth. We try to come up with reasons why Jesus seemed to be begging His Father to let Him out of Their Plan. When God said so plainly, He would never leave us nor forsake us, how could Jesus ever think He was forsaken? What was that all about? In future posts, we will walk through the events surrounding Easter, but from a different perspective. We will look at those events through the Eyes of The One. But for now, let’s join Jesus’ Disciples, who were trying to grasp what Jesus was telling them about the coming events. Jesus’ Disciples’ heads must have been spinning. They were really concrete guys. They were used to what they could see and feel. Now Jesus was talking about being with them, but not really being with them. Perhaps you also have questions about how this whole thing actually fits together. In John 14, we find Thomas and Philip trying desperately to understand what Jesus meant. “I AM the Way and the Truth and the Life! Philip piped up and told Jesus to show them the Father and that would be good enough. He seemed to be saying, “Forget all this talk. Show me something I can see!” Jesus must have chuckled. Talk about a great Reveal! Jesus was revealing again that He and the Father are One. for He lives with you and will be in you. and show Myself to them. Jesus was not only guaranteeing His Presence, but He was also guaranteeing His Followers would actually see Him! Seeing in A New Way! Have you ever seen anything that was seen from somewhere other than through your physical, daytime eyes? Ever seen something in a dream? Ever seen something in your imagination? Ever remembered a person or place and you could recall every detail? There are ways of seeing other than the traditional one way we think of! Jesus could reveal His Presence through our physical eyes or as He is so fond of doing, He could take it up a notch! But He promised His Followers would see Him and know that He was still very much on earth inside of them! Jesus was revealing to His Disciples that not only would they be getting new spiritual eyes that would allow them to see Him, but they would also be getting new spiritual ears! They would see Him and hear Him, not from the outside, but from the inside! Where Jesus had been seen in just His One Body, He now wanted His Message to “go viral!” He wanted His Light to be turned on in every creation of God, in every time and every place. He wants you to know He is at Home now, waiting for you to recognize Him. Where is Home for God/Jesus/The Holy Spirit? “Anyone who loves Me will obey My Teaching. Wait, didn’t Jesus go to Heaven? Isn’t The Kingdom of God in that far off place called Heaven? I will never leave You or forsake You! I AM so thankful You want me to be with You! I want to be with You always! I AM so thankful You see Me and I see You! I AM so thankful You hear Me and I hear You! I AM so thankful that because You live and I AM in You, I also live now and forever! I AM so thankful You love Me. I love You! I AM so thankful You live inside of Me. I AM so thankful You make Your Home with me! Welcome Home! Posted by carolynpriesterjones on March 22, 2014 in Christian, Encouragement, Joy and tagged Christian, Encouragement, god, Holy Spirit, Jesus, Jesus in MeWhere is the Kingdom of God, Joy, One with God, Separate but Equal, The Holy Spirit, Trinity.